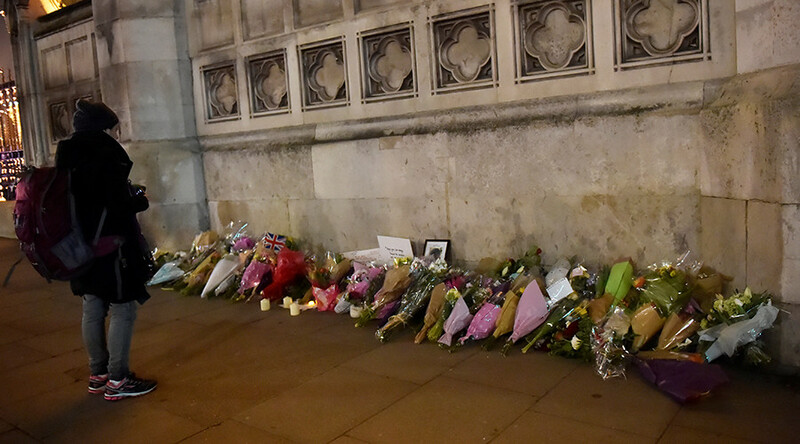 The outpouring of grief and solidarity in the aftermath of the Westminster terrorist attack has provided westerners with some modicum of hope, but such reactions are not universal, with many pointing to the lack of response to attacks elsewhere. While many online praised the bravery of PC Keith Palmer, who sacrificed his own life to save others at the gates of the Houses of Parliament, others highlighted conflict zones around the world that suffer from terrorism on a weekly basis. Everyone is asking "what can we do to stop terrorist attacks"
the UK has terrorised the middle east for years but ppl seem to forget that?? Thinking of #London & thinking of #Baghdad. Terrorism will not win. We have to be better than that. Those who cheer for death are soulless. Several Twitter users questioned the lack of coverage on digital and social media in response to Monday’s car bomb attack attack in Baghdad which killed 23 people and injured many more, bringing into focus the bloody impact of terrorism in the wider world this month alone. In a sad indictment of the modern world, one user simply highlighted both the frequency and severity of attacks that have taken place across the world in recent months, which also overshadowed the dark day in Westminster. Incidents far worse than Westminster Incident have rocked Baghdad, Mogadishu, Damascus, Cairo in the recent past. While people expressed sympathy for those in London, many couldn’t help but compare the reaction to that which follows similar attacks in Syria, Yemen, Iraq and beyond. Obviously terrible the incident in Westminster but for gods sake, where is the reaction to Syria & Yemen relentless bombing by UK allies? It is touching to receive messages of concern from friends from Syria — where Westminster-style horrors unravel on an hourly basis. 5 dead in Westminster. Hundreds dead in Syria. Guess which story made the news? Some people drew attention to the school bombing which took place in Syria on Tuesday, where at least 30 were killed. You asking us to condemn #WestMinister attack, when are you going to condemn US airstrike that massacred 33 civilians in #Syria today?